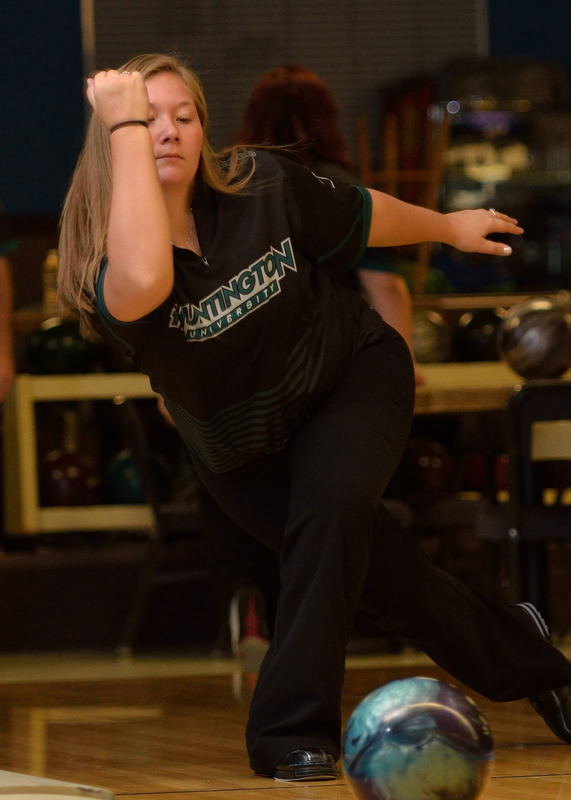 Both the men and women's bowling teams traveled to Indianapolis Oct. 10-11 to compete in the Western Shootout. The women finished 6th, while the men were 13th. Both the men’s and women’s bowling teams finished within the top 15 out of 25 teams at the Western Shootout Oct. 10-11. While the men took thirteenth, the women’s team made a tremendous comeback from the fourteenth spot in game one to finish with 8,256 points and in sixth place to close out the week. Leading the women was senior Shelby New, who a team-high 256. Ayla Yeiter who scored a 218. New finished seventh in the tournament with 1,162 pins. Yeiter finished in 30th with 1,089 pins as well. To round out the top 50, junior Brooke Ewing and freshman Breanna Cearbaugh finished in 32nd and 36th respectively. Freshman Abby Atkins said she has a lot of great things to say about her teammate, New. For the men, Seth Walker led the HU bowling squad with 1212 pins and finished in 22nd. Daniel Miller also finished in the top 50 with a 48th place, while Adam Harris Shoemaker rounded out the top 50 in placement. “We’ve had our up and down moments. The consistency is getting better every week,” says head coach Mike Shockey. Shockey said he has some high expectations for his team this year. Freshman Blake Lugo agrees with his coach. Shockey said that leadership responsibilities are shared on his team. Lugo said the teams are close and work well together.